Since 1977, Time Striping Inc. has provided a full range of efficient, high quality, and cost effective asphalt and concrete pavement maintenance services. The additions of a full service sign shop, product distribution of hundreds of pavement maintenance supply products, offering guard systems and overhead signs, removal and cleaning services, and providing sales and rentals of traffic management products has enabled us to serve every customer’s unique needs. Employees getting certified to operate powered industrial trucks. Safety and training are some of our top priorities. Our goal is to be a partner in making your roads as safe as possible. Road surface markings are used on paved roadways to provide guidance and information to drivers and pedestrians. Time Striping has been striping roads since 1977. Time Striping Inc is dedicated to servicing your guardrail needs with our experienced and dependable personnel. We have been in the guardrail business for 8 years and are now the largest guardrail sales and installation company in Arkansas. The Time Striping Team proudly consists of highly skilled and qualified individuals who offer a tremendous amount of experience in the industry. 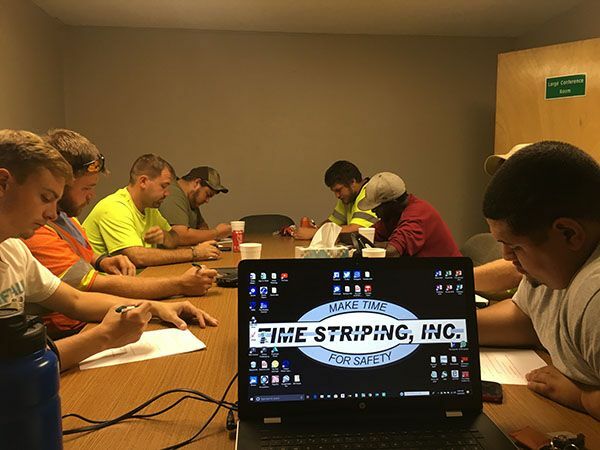 The Time Striping Team is proudly led by a group of professionals who have dedicated their careers to providing quality and safety in the traffic industry. 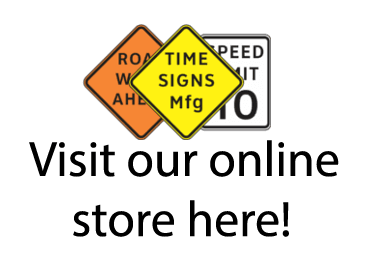 Contracting with Time Striping, Inc will be one of the best investments your company makes; keeping your business, employees, and drivers safe.